Manali is the perfect summer retreat. Like most hill stations in India it has off late commercialised to a great extent and everything about it is touristy. However the real beauty of this quaint hill station is beyond the bustle of the Tibetian markets and the tourist thronged places. The Solang valley is 15 km from Manali , enroute Rohtang Pass and the hub of adventure sports in this region. There can’t be anything better than to paraglide over the snow capped hills amidst the clouds. A definite adrenaline rush for adventure lovers. In winters, the valley offers ample skiing opportunities as well. If history and architecture excite you,a quick visit to the Naggar castle is highly recommended. 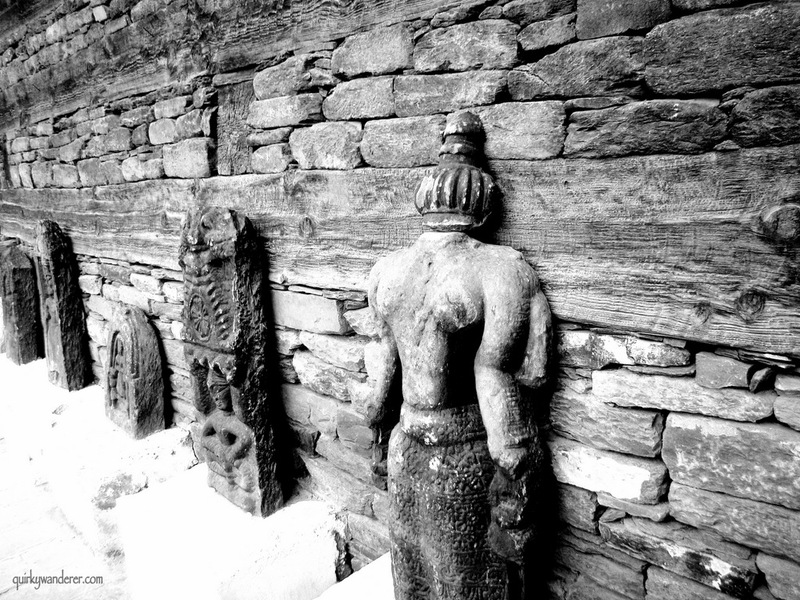 The castle, constructed only with two things: Wood and stone was the residence of Raja Sidh Singh of Kullu. The corridors and passageways give a colonial feel to the whole place as you are transported back in time. The views from the balconies are absolutely stunning. P.s: This was the place where a famous song (Yeh ishq haye) of the Bollywood movie “Jab We Met” was filmed. There are ample of monasteries in this region. My lone journey to the Nyingmapa Monastery was of serenity and serendipity. I had embarked upon it only because a local told me about it. And the journey is beyond beautiful. When I reached, I really had no idea it would be at such an high altitude and the roads would be so narrow! The monastery is run by Buddhist nuns. Nestled in the hills, this tiny monastery is a must visit for the warmth of this place and of course the journey to this place! The most enchanting thing about Manali is the gorgeous river Beas flowing in full glory. There are rocky patches enroute Manali from Kullu, where there are small cafes built on the river. The cafes are a perfect way to connect with nature. You can dip your feet in the cold water while you read a book, with the gushing sound of the Beas echoing in your ears.Perfect Bliss. Most of these were demolished after the Mandi Dam Tragedy. With curvy roads and stunning landscapes, this indeed is the most picturesque drive ever. 51 Kms from Manali , the pass connects the Kullu Valley with the Spiti Valley. Don’t waste your time at the touristy snow point. Drive further , closer to the Rohtang pass for heavenly, breathtaking views! The pass is open from May -November. If you are leaving for Rohtang from Manali, be sure to leave early in the morning, to avoid the terrible traffic jam at Snow point. You may have rafted in Rishikesh, but with amazing rapids and stunning views, rafting in the Beas is quite an experience. There are ample rafting camps between Kullu and Manali. It is however advisable to either book your rafting agency online or through your hotel. 7. A forest walk amidst cedar trees, near Hadimba temple. Hadimba temple is thronged by tourists. But the area where the temple is situated is a forest full of tall and scenic cedar trees. If you fancy a walk into the woods (Robert Frost style), this is one thing you must absolutely do! Move away from the crowds and wander into the picture picture cedar forests. This is certainly a walk to remember! Jana falls is not all that delightful. But the food at the local dhaba here is simply brilliant. Not to miss the scenic drive to the falls. If you want to taste authentic Pahadi food and the local Himachali delicacies, do not miss the food here. 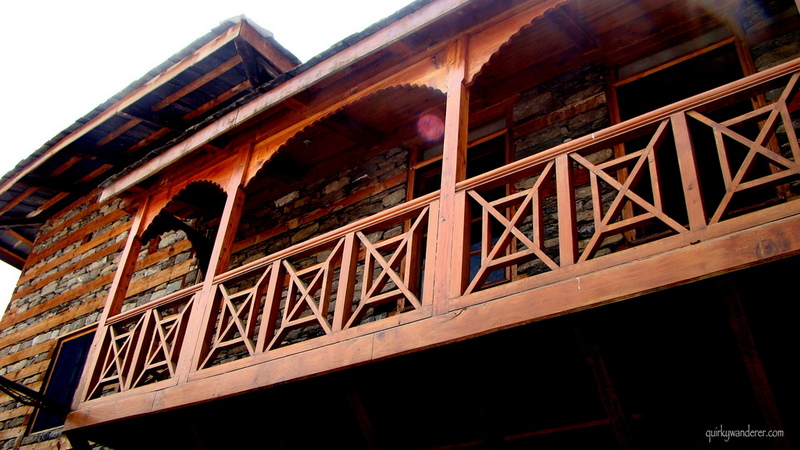 Old Manali is enchanting with its cafes, fast food stalls and tiny shops. If you are a lover of crafts and really wish to see how the famous Kullu shawls are woven, hop into the tiny factories on the Kullu-Manali Highway. It is a delight to see the artisans in action, creating masterpieces with wool! 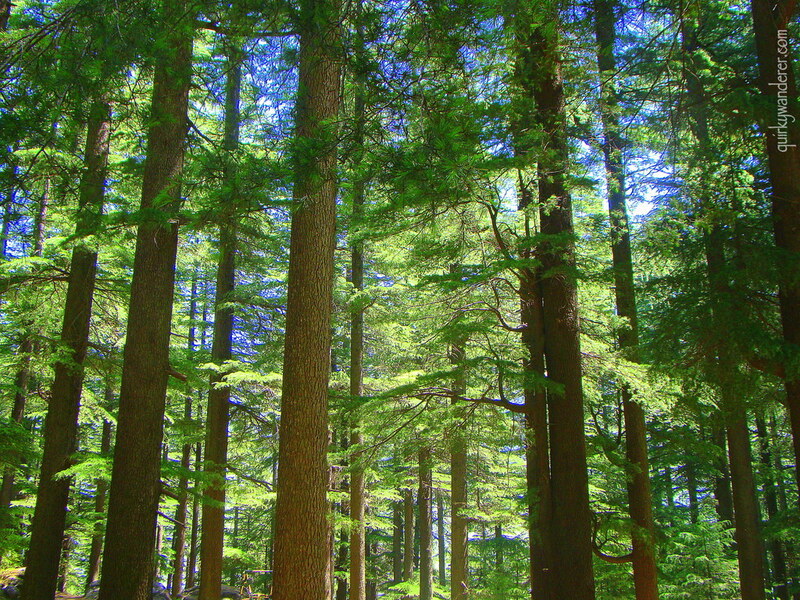 Have you been to Manali and done something exciting apart from the above? Do let me know! Wow. This is so amazing Divya. 🙂 Manali is definitely a must visit for me. But again God knows when. Yes sure. This post really helps. Hahah! Yes yes definitely 🙂 thanks for reading girl! 1, 3, 5, 6 and 7 – Done 😀 I like this list! We loved old Manali and its quaint German Bakeries. World Peace Cafe at Vashisht Springs offers splendid panoramic views. And you can enjoy a good meal while doing so. 🙂 Since Manali was a stop-gap, before heading to Leh, we just did the basic 8 point touristy stuff. The flip-side of Manali are the hordes of tourists and holidaying families. The air(once pure) smells of diesel. Absolutely! That’s the reason I always advise people to stay outside main manali, preferably on the banks of the Beas. The worst season to visit is definitely the tourist season! I am sure you would have done most of these! I loved it too:) thanks for reading! That’s a great list. I’ve been to Solang (on the way back from Rohtang) and Naggar Castle. If only I’d known about that cafe on the river. Wow! that is a perfect setting. Thank you for that sight. Thankyou 😊glad you liked it! Now I know the 2 posts which I have to keep in handy during my visit to Manali (whenever it happens) :). I have always wanted to get rid of my fear of heights and after reading this post, I feel the best way to do so is to Paraglide in Solang Valley. I am sure the snow-capped mountains and the clear air will take away the fear that I have built up over the years. I also want to check out the Beas River since ‘quirky wanderer’ makes it sound enchanting! This post revived my memories of Manali! River rafting followed by the palace and then the monastery. You know me, and you know why I would have picked these. I think after all that Manali is an interesting place. Wow, I have no idea about monastery trekking. And I thought that I had seen everything here. Thanks for sharing.